(Nanowerk News) The search for planets beyond our solar system is about to gain some new recruits. Today, a team that includes MIT and is led by the Carnegie Institution for Science has released the largest collection of observations made with a technique called radial velocity, to be used for hunting exoplanets. The huge dataset, taken over two decades by the W.M. Keck Observatory in Hawaii, is now available to the public, along with an open-source software package to process the data and an online tutorial. "This is an amazing catalog, and we realized there just aren't enough of us on the team to be doing as much science as could come out of this dataset," says Jennifer Burt, a Torres Postdoctoral Fellow in MIT's Kavli Institute for Astrophysics and Space Research. "We're trying to shift toward a more community-oriented idea of how we should do science, so that others can access the data and see something interesting." Burt and her colleagues have outlined some details of the newly available dataset in a paper to appear in The Astrophysical Journal. After taking a look through the data themselves, the researchers have detected over 100 potential exoplanets, including one orbiting GJ 411, the fourth-closest star to our solar system. 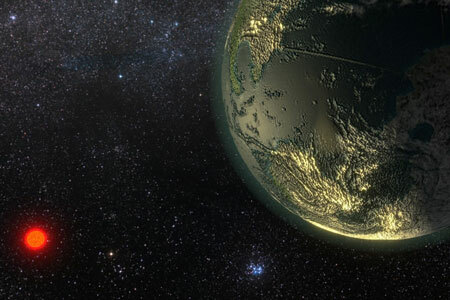 "There seems to be no shortage of exoplanets," Burt says. "There are a ton of them out there, and there is ton of science to be done." The newly available observations were taken by the High Resolution Echelle Spectrometer (HIRES), an instrument mounted on the Keck Observatory's 10-meter telescope at Mauna Kea in Hawaii. HIRES is designed to split a star's incoming light into a rainbow of color components. Scientists can then measure the precise intensity of thousands of color channels, or wavelengths, to determine characteristics of the starlight. Early on, scientists found they could use HIRES' output to estimate a star's radial velocity -- the very tiny movements a star makes either as a result of its own internal processes or in response to some other, external force. In particular, scientists have found that when a star moves toward and away from Earth in a regular pattern, it can signal the presence of an exoplanet orbiting the star. The planet's gravity tugs on the star, changing the star's velocity as the planet moves through its orbit. "[HIRES] wasn't specifically optimized to look for exoplanets," Burt says. "It was designed to look at faint galaxies and quasars. However, even before HIRES was installed, our team worked out a technique for making HIRES an effective exoplanet hunter." For two decades, these scientists have pointed HIRES at more than 1,600 "neighborhood" stars, all within a relatively close 100 parsecs, or 325 light years, from Earth. The instrument has recorded almost 61,000 observations, each lasting anywhere from 30 seconds to 20 minutes, depending on how precise the measurements needed to be. With all these data compiled, any given star in the dataset can have several days', years', ore even more than a decade's worth of observations. "We recently discovered a six-planet system orbiting a star, which is a big number," Burt says. "We don't often detect systems with more than three to four planets, but we could successfully map out all six in this system because we had over 18 years of data on the host star." "We've gone from the early days of thinking maybe there are five or 10 other planets out there, to realizing almost every star next to us might have a planet," Burt says. "This dataset will slowly grow, and you'll be able to go on and search for whatever star you're interested in and download all the data we've ever taken on it. The dataset includes the date, the velocity we measured, the error on that velocity, and measurements of the star's activity during that observation," Burt says. "Nowadays, with access to public analysis software like Systemic, it's easy to load the data in and start playing with it." "I think this opens up possibilities for anyone who wants to do this kind of work, whether you're an academic or someone in the general public who's excited about exoplanets," Burt says. "Because really, who doesn't want to discover a planet?"